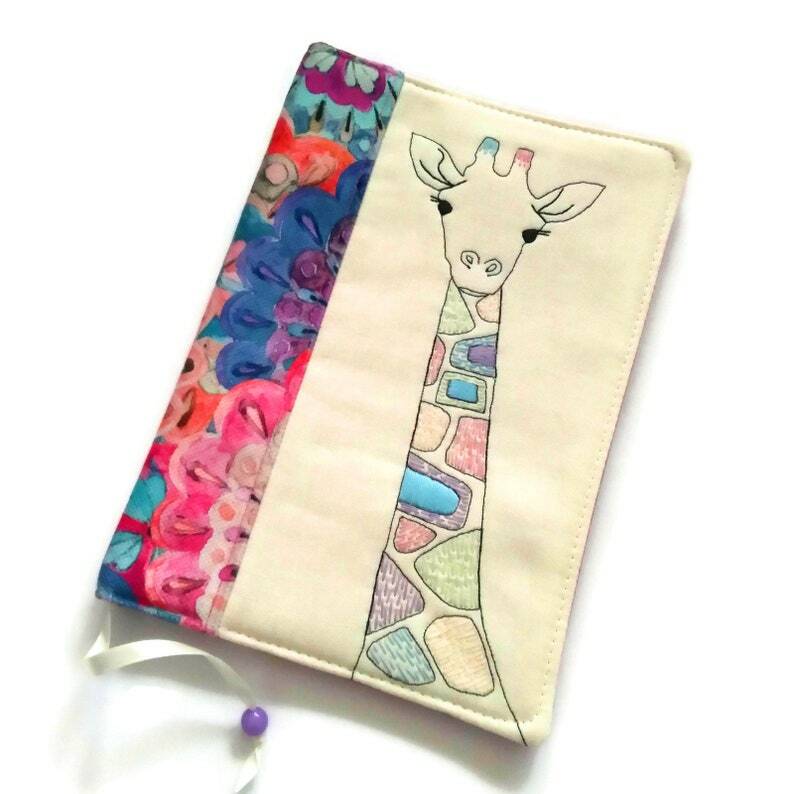 A5 diary cover with cute and colorful embroidered giraffe made entirely of high quality fabrics. This handmade travel journal cover is machine-sewn and hand stitched. All the different colors on giraffe are hand embroidered with colorful threads. It’s fully lined with a pink cotton fabric. The book cover has a bookmark made of satin ribbon and bead. It‘s lightly padded for structure and durability and it's reusable from book to book. It measures 23 cm high and 33 cm wide, which makes it a perfect fit for a 400 page A5 book, journal, diary, bible or something slightly bigger.